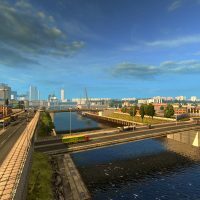 Today we will feature one of the most popular games on Linux and for sure the #1 truck simulation game on any platform, Euro Truck Simulator 2. Have you heard of it? This game was originally released in 2013 but it has been constantly updated with huge updates to the graphics, animations and game play. It is one of the highest rated games on Steam and for a good reason. The graphics are stunning and you have the ability to drive literally anywhere in the city with a very realistic feel to the game. The driving mechanics are awesome and the choice of Trucks to choose from and unlock will keep you busy for days. Let’s find out if this game is really worth your time to download and play. 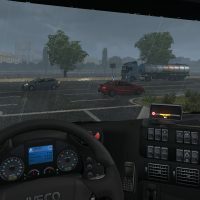 What Is Euro Truck Simulator 2? 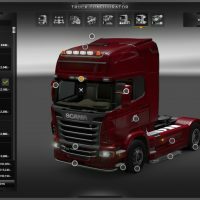 Euro Truck 2 let’s you travel across Europe as king of the road, a trucker who delivers important cargo across impressive distances! With dozens of cities to explore from the UK, Belgium, Germany, Italy, the Netherlands, Poland, and many more, your endurance, skill and speed will all be pushed to their limits. If you’ve got what it takes to be part of an elite trucking force, get behind the wheel and prove it! 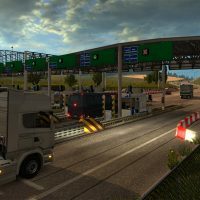 Take advantage of additional features of Euro Truck Simulator 2 by joining our online community on World of Trucks, our center for virtual truckers all around the world interested in Euro Truck Simulator 2 and future SCS Software’s truck simulators. See the best images hand-picked by the game creators in Editor’s Pick updated almost every day. Try to get your own screenshot on this list.